This week was the grand finale! With our Friday presentation in mind, we began working early in the week to meet our deadline. On Monday and Tuesday, we spent time adding and removing slides from our presentation to make sure that it fit within the maximum time of 30 minutes. We also spent time practicing our presentation with Anna to perfect each slide and what we would be speaking about. On Wednesday, Shreyas and Andrea went into the office to develop the iPad and iPhone application further, while everyone else refined the presentation from home. Additionally, Liam and Carson worked on exporting all 2D assets, icons, and buttons so that Shreyas and Andrea could implement them into each version. On Thursday we met with 3M to discuss some of the work they are doing in UX. We spoke with Ivan Maramis along with his UX healthcare team to discuss their work and process as researchers, interaction designers, prototypers, and developers. Their research definitely helped open our eyes to some different roles and teams we could work in when pursuing UX as a career. That night, the development team finished the image recognition features of our mobile app and added final touches to our augmented reality app. The group also did one extra run-through of the presentation to fine-tune talking points. Finally, the big day came around. 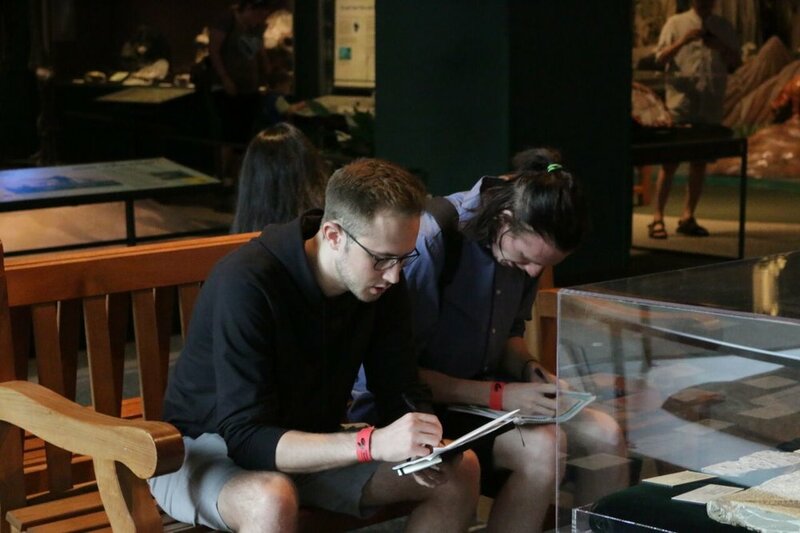 In the morning, the entire team (Sandy, Carson, Liam, Andrea, Shreyas) went to the museum in the morning in order to launch the app on museum iPads and perform some informal user testing with the available staff. Surprisingly, once we had finished the final version of the app, we were extremely surprised by some of the constructive criticism we received. It opened our eyes to some other things we had yet to consider, since we spent time focusing on making sure our product worked. Regardless, all of the feedback was positive and it was great to see the staff's interest in the product and some visitors' excitement about augmented reality. Later, we set up for our presentation and made sure we gathered everyone we had invited. The presentation went incredibly well, our prep on Tuesday and run-through the night before definitely helped us a lot. In hindsight, we missed the occasional bullet point, but we addressed the important timeline and experience. As a group, we were definitely proud of the way we handled the Q&A portion of the presentation, it was the highlight of the presentation for sure. Once all of this was over, we took our audience down to the paleo exhibit and demoed both applications. Shreyas and Andrea worked on some minor changes to the code based on the informal user testing in the morning, and these changes received positive feedback - indicating that our steps towards full implementation were in the right direction. This experience has been a rush, and the culmination of the last 48 hours of this experience was definitely worth the time we spent brainstorming, designing, researching, and developing the app. 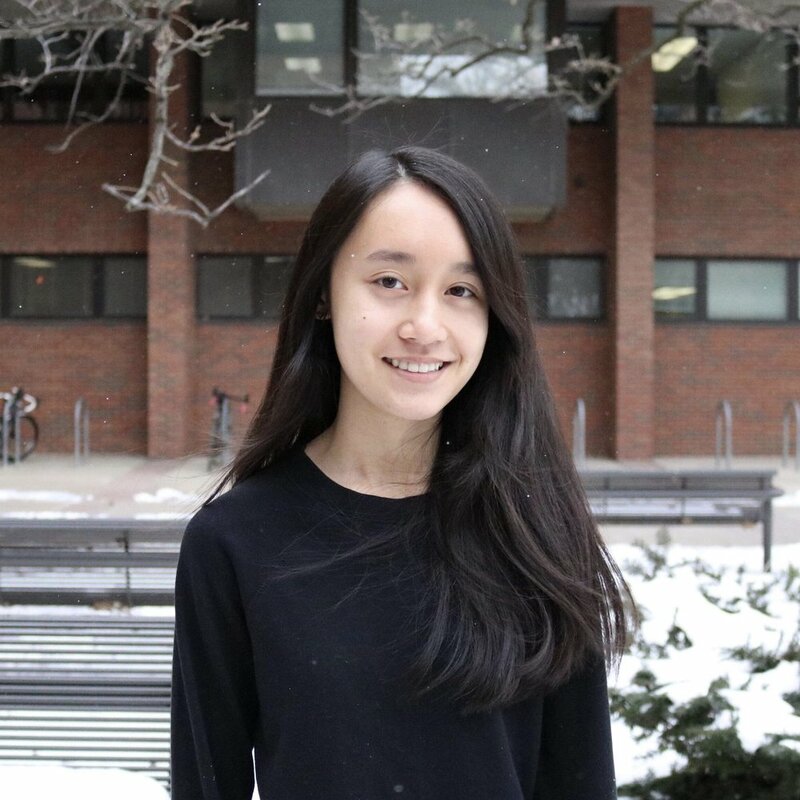 Our connections with Praxik, new mentors, and each other will definitely be useful moving forward with UX. Thank you to everyone who has been reading our team blogs and our personal blogs. Please contact us if you have any questions or would like to talk about our experience in this internship. For week 9 we spent most of our time quickly redesigning, organizing and testing. Our applications and user testing content both needed revising especially after the feedback we received from Johnathan Lazar and John Golden. At the beginning of the week, we created a live document containing the names of the people we would like to invite to our final presentation. Although a small task, this list grew as our week went on. Shreyas and Andrea worked in Xcode to make the design adjustments. Shreyas worked on getting the 3D models to show up in the iPad application. This was a challenge. At first, the dinosaurs were extremely oversized, but with some coordinate adjustments, they were brought down to a reasonable size. Luckily this was before our user testing on Thursday. At this point, the iPad app was functionally ready but not visually ready, whereas the iPhone app was visually ready, but not functionally ready. Sandy worked diligently to prep us for our user testing. We needed consent forms, user data forms, and the online questionnaire. On Thursday all of us showed up to the museum ready to test the iPad application. We connected our laptops to the iPad and we started to get error warnings in Xcode. Xcode was asking for the laptop password, we typed it in, and then again, and again, and again, about 50 times. Our iPad app was not going to work. Bryan and Mark greeted us in the middle of the confusion we were having. We kept trying even as they stood there, but we just couldn’t get the app to run on the iPad. We were all really disappointed, but this was good as it could help us avoid this problem in the future. This week we interviewed Jonathan Lazar, a professor and HCI researcher, who gave us great ideas for research methods that we could use for when we test our app at the science museum. We also got to learn about trends in research and how there is a big data approach. As for our presentation, Jonathan suggested that we should present a problem and solutions along with showing our process. He gave us some advice about grad school as well and told us that we should be knowledge about the program that we are applying for and have an idea of what a typical applicant looks like. 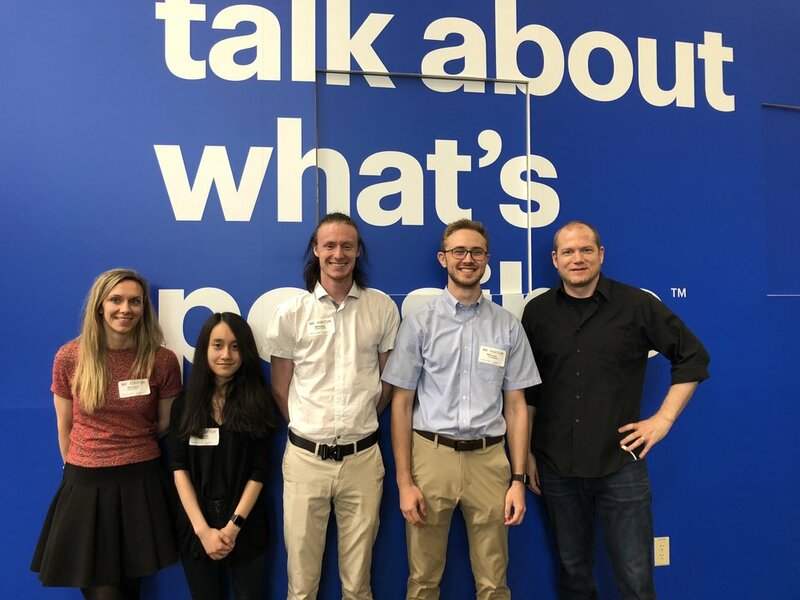 We also got the opportunity to speak to John Golden at Crux Collaborative this week and learned a lot about the usability testing and the structure of reports from user testing. We presented our prototype and research methods to John for feedback. He had helpful suggestions for how we could improve the patterns and buttons for the instruction screen in our prototype. 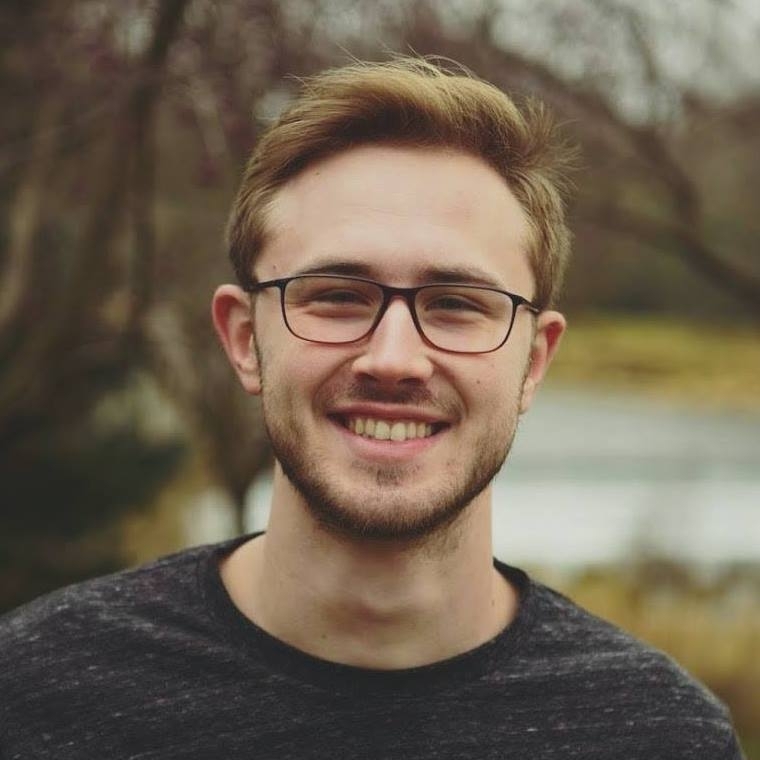 For user research methods, John mentioned that our survey was a bit too long and said that we could ask some of the questions from the survey during an interview with the users after they finish using our app. This way, the users won’t be bored with taking the survey and want to quit halfway through. For next week, half of the team will continue to code the iPad and iPhone app while the others will be working on the presentation. The team will be testing both of our apps in the upcoming week with the museum visitors, hopefully all goes well and we don’t encounter any problems with our app during testing. This week was primarily spent understanding how to code, and getting a better grasp on what we could and couldn't do. There were some ideas that were fairly ambitious, and until we get more adept at coding, it will be a while before we can implement them effectively. 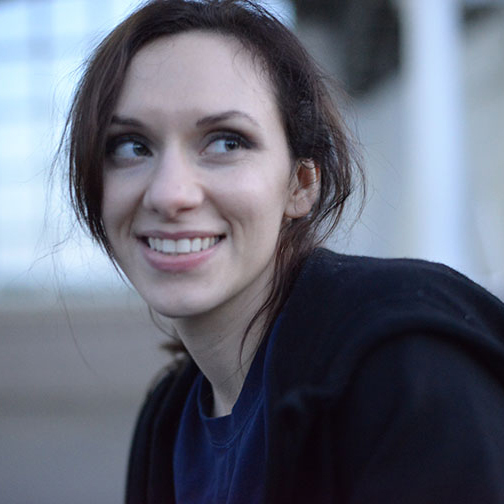 We had a good meeting with Anna this week, where she asked us questions about our prototype and our ideas for app flow. While we may have been confused about the questions at first, we slowly came around and began to see the importance of her questions and the importance of the right answers. We're thankful that we had the opportunity to get our ideas poked and prodded till they came out better than before. The best way to describe this meeting, would be that we understood the difference between UI and UX. User Interaction is theoretically great, but sometimes you have to step back and consider where the best point of intersection is with UX. UX always comes as a priority over UI when it comes to the execution phase. 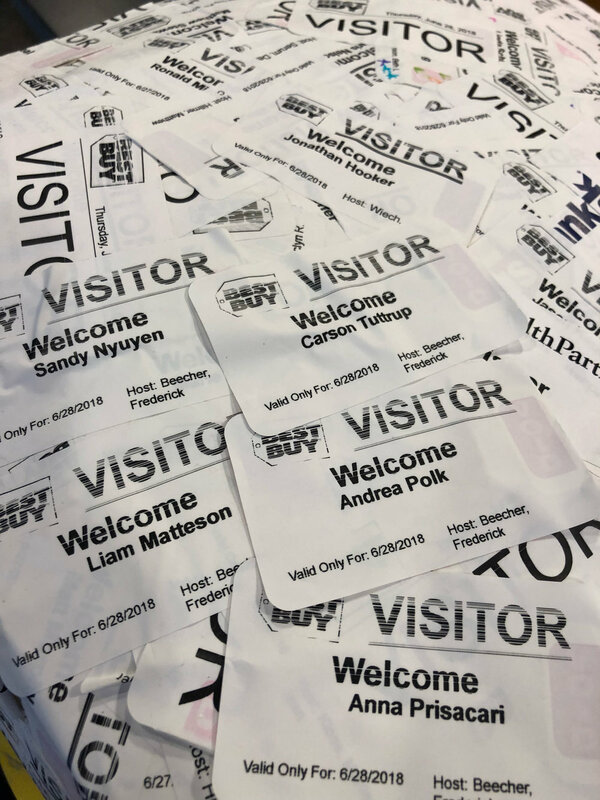 The team also spent time searching for 3D models to implement within our AR app, and for methods to develop our own QR codes for our visitor app. These are part of the core of our two apps, so it's important that we find the right models! This week was mainly updating the prototype. As Shreyas was coding away, the rest of us were making changes to the prototype, such as differentiating the AR screens from the question screens and editing text boxes to be more cohesive. Since a majority of this work was not necessary to do in person, we were able to do a group slack call and collaboratively work on the updates together. You can see our updates above. On Thursday the 12th of July, we met Mark in the museum to show some staff our current progress. We discussed our prototype and explained our reasonings using past research we had collected. The museum staff seemed to enjoy what we had come up with so far, but had some good suggestions that will change our prototype quite a bit. A few of Elias’s (the museum’s graphic designer) ideas and suggestions based on color scheme and layout will be quite helpful when we turn our application into something more professional. Overall, having the museum’s feedback is invaluable, as they are the end client. Explaining their thought process in relation to our prototype helped us figure out how to turn their ideas into reality. With the museum’s past knowledge on their visitor patterns and habits, they were able to show us possible complications with our current app before we got too far into the project. This coming up week, we will continue to complete the prototype and hopefully integrate it with the code. Prototyping Stage. Week five is where we really narrowed our focus. Being knowledgeable and efficient is crucial at this stage because we will be creating our first prototype. At Praxik, the team sat down to discuss different augmented reality solutions and how they would fulfill our goals for this project. We brainstormed concepts on the whiteboard such as location-based AR, animations, interactive players, and AR guides. As ideas are generated, some are shot down, just due to limitations, but we are positive about the work we can do and have the ingenuity to find a workaround or learn quickly. For instance, none of us know animation very well, but it appealed to us. We decided to table it for the moment and do some research before moving forward. During this process, we reflected on our overall goals. We wanted our application to appeal not only to children but to the adults with them. We thought the app should foster social engagement yet we didn’t want the application to be too distracting. Anna looked over our list of concepts and provided feedback. We needed to refocus and consider what is actually possible for our timeframe. It was suggested that we start to examine the features we might want within our project. We started a new list on the whiteboard for this. Charlie, a Praxik developer, helped us narrow down what could be accomplishable, especially if we all worked hard on this. We didn’t realize how difficult AR could be, but it put us in the right mindset. During the week, a visual prototype was developed between Shreyas and Liam. It was well organized and visually interesting. To improve the appearance of the application, we decided to reach out to the Science Museum regarding 3D files. These files could give us a head start on the dinosaur shapes we could include in our app. Even with July fourth during this week, we persisted in communication. We sent updates and slacked questions and comments. A group call was made where we discussed our status. We needed to communicate with the museum again and plan another visit. Week 5 took a lot of brain power, but we are excited to see what week 6 brings! This week, we interviewed Jeff Johnson, a UI professional who gave us insights to help us with our project. We learned that you need to have the ability to view a system from the user’s perspective, you should have an understanding of where the user is coming from, and being a good designer means testing your design to make sure it’s good. Our readings for this week were the first two chapters of Donald Norman’s book, The Psychology of Everyday Things. The chapters focused on the important principles of good design, which were visibility, good mappings, and feedback. We read Jeff’s article on conceptual models as well to get a better understanding of conceptual models and its benefits. During the weekly team meeting, we learned about exploratory and confirmatory research. We ultimately decided to focus on exploratory research during our upcoming visit to the Science Museum, where we will be conducting observations. There were two project related tasks the team completed this week, which was making alterations to the timeline and finalizing research questions for our upcoming visit. Half the team focused on the timeline while the other half focused on refining the research questions and creating observation tables. We came up with an overarching research question and three observation questions. 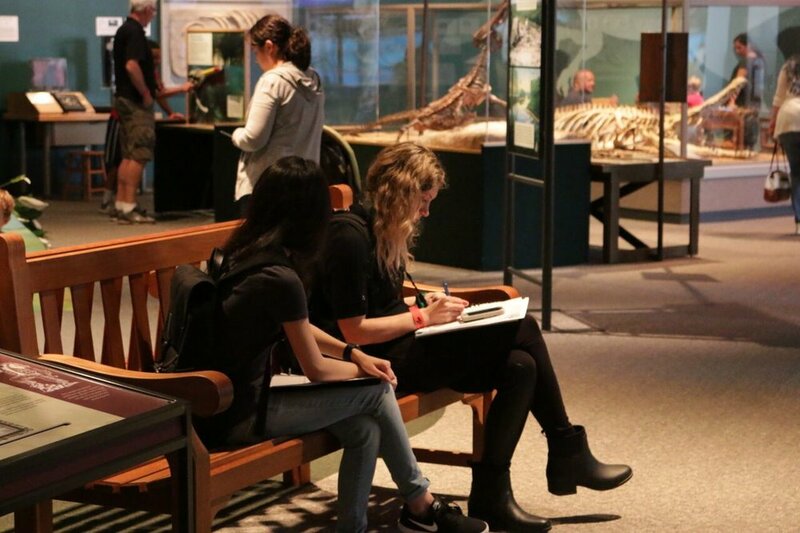 Observation tables were created for visiting behavior, time, and social interaction that will be used to record data during our visit at the museum this Sunday. During our second team meeting at the beginning of this week, we met a new team member - Liam! We also began work with our personal blogs, which you can follow by clicking on the intern photographs up above. This week, we had new readings that were focused around understand the research questions, research methods, and the connection between the two. Empirical questions help us understand what the client needs and what the parameters of the project are. By asking the right questions & employing the proper evaluation method, we can better apply the research methodologies that could best help the client / product. Our last reading was focused around ethical concerns - how do we conduct research without leading the user to our preferred answer and without compromising the integrity of the research process. In the first client meeting, we asked open-ended questions to provide us with qualitative understanding of the project parameters & quantitative information that could help us set definitive goals (i.e. the visitor attends for x more minutes). With the new information we learnt in week 2, we can take the next step to identifying the correct methodologies & questions to ask for User Research. This week, we also spent some time learning Adobe XD in order to help jumpstart our prototyping and brainstorming process. By using the actual software, none of us have to jump through hoops to clarify our ideas. 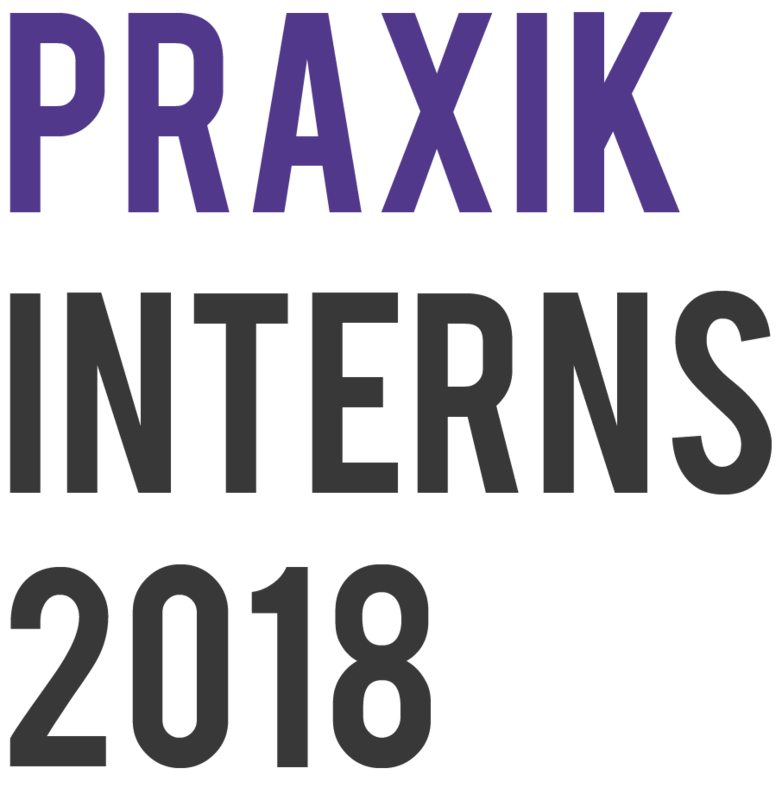 In the meantime, check out Praxik social media to check out the team at NeoCon, an excellent event for the commercial design industry in Chicago. Week one was comprised of initial meetings, scheduling and research. Aside from brief online introductions, the team met each other for the first time and was introduced to the Praxik space. We all planned out calendars to ensure we had a collaborative meeting at least once a week, and planned out a few more meetings such as our initial client meeting as well as a meeting with an industry professional, after we discussed our goals and ambitions regarding this project and our future careers. 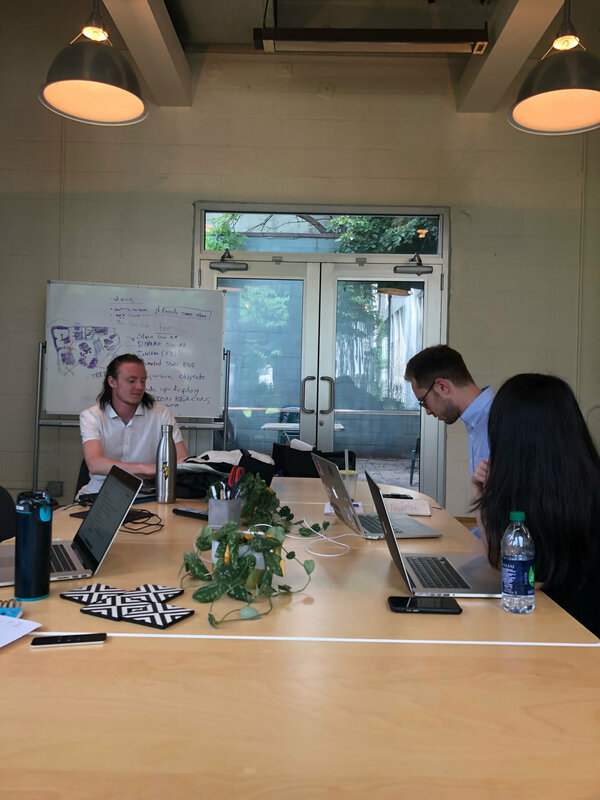 Each intern was assigned readings to better understand our client and UX research, noting possible keywords that could assist in future research. Many resources were assigned to all interns, as this knowledge was essential for us all to know, but a chunk of the readings was divided by the team, requiring each of us to take notes so we could later exchange this information. After completing our research, we created and compiled methods and questions that would gather us the most relevant information regarding our project when we discussed the opportunity with the Science Museum of Minnesota on Monday, June 4. During the client meeting, we met with Mark, the VP of the exhibits, Bryan, the Director of Media Design, and Elias, their graphic designer, to discuss the project in detail. We began by visiting the museum’s IMAX theatre to view an engineering film, giving us insight into the possibilities of ingenuity we could work into our project. 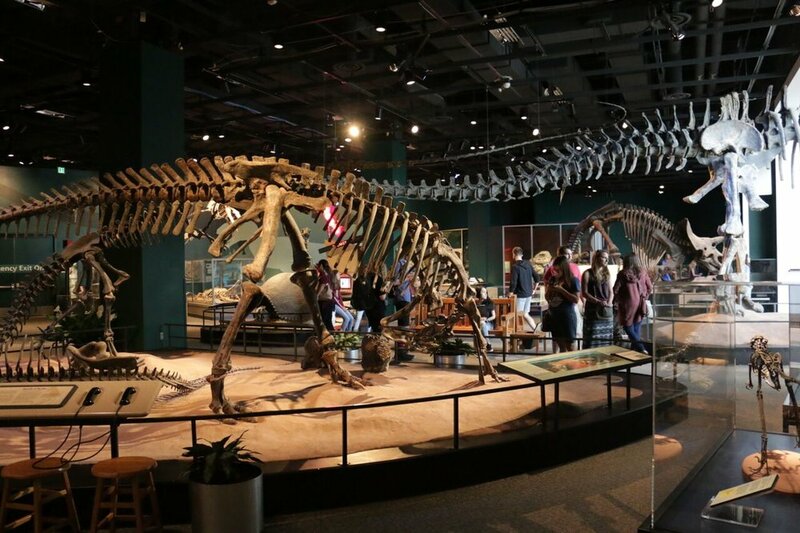 After the film, we toured the museum, viewing the paleo exhibit while speaking with the client about current positives and negatives of the atmosphere, and how we could help improve the space with AR. 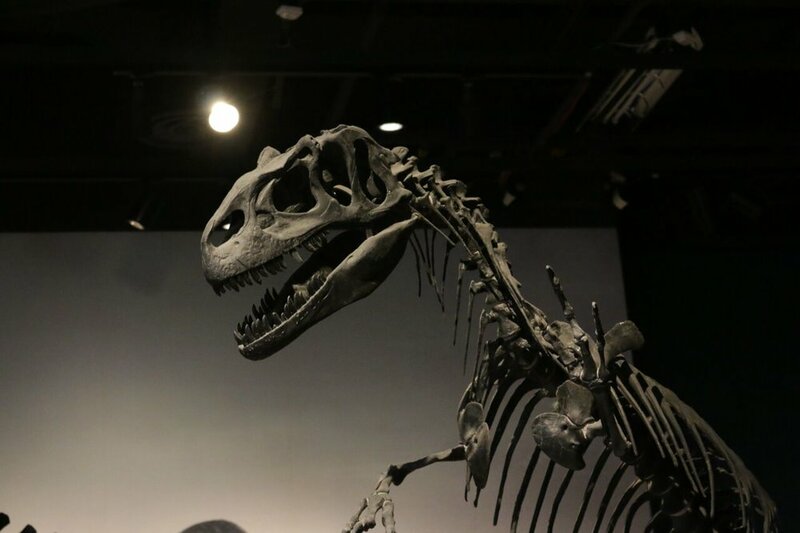 At the paleo exhibit, we met with Liza, the Project leader and Paleo expert to learn more specific information about the entire paleo exhibit. Thanks to our questions we had previously prepared, we were able to gather all the information we needed to further research the project (and we got to interact with a few of the exhibits :). Big thanks to Mark, Bryan, Elias, and Liza for all your help! We are SO excited to work with all of you!